Food Processors are a great addition to any kitchen. The food processor reduces preparation time and does the cutting and prep work for the cook. When buying a food processor the process can be overwhelming because of the many products available on the market. We have narrowed down and rated the most popular food processors on the market so you can find the best food processor for your needs. 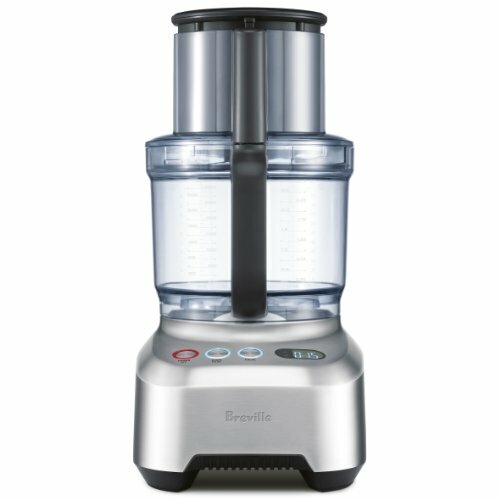 The Breville BFP800XL Sous Chef Food Processor ranks high for its high quality build and ease of use. This processor is for the serious cook. The Breville BFP800XL comes with a 1200 watt motor, the size often found in restaurants. This allows chef’s and home cooks to chop vegetables, mince onions and even make French fries in a snap. The wide 5.5” feed chute creates easy preparation, as most vegetables do not have to be pre cut before loading then in the processor. The Breville BFP800XL also comes with two bowls. The 16 cup bowl is large enough for food prep for large family gatherings. The 2.5 cup bowl is great for small jobs. This includes chopping garlic, or making a special dinner for a loved one. Along with 5 multi function discs and 3 different blades, the Breville BFP800XL motor comes with a 25 year warranty. 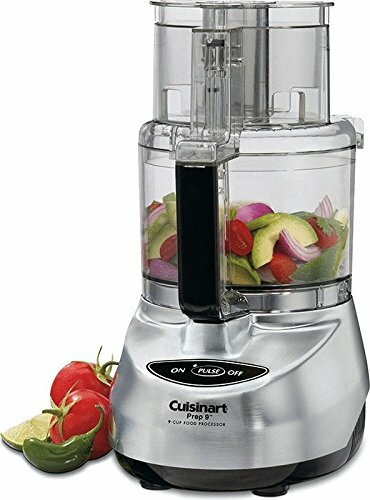 This food processor is the best on the market when it comes to cutting vegetables, shredding cheese, and meeting all your chopping and preparation needs. Add an easy clean up and this is a food processor you will love for many years to come. 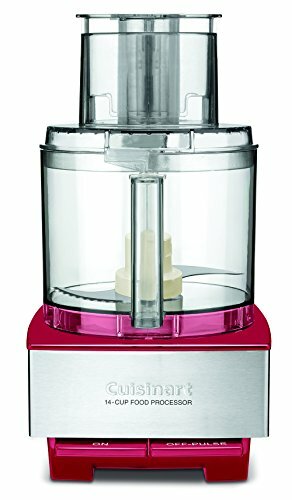 Cuisinart DFP 14 Food Processor comes in stainless steel and ranks high for consumers looking for a less expensive model, while still completing essential food processing tasks. One of the great benefits of the Cuisinart DFP 14 Food Processor is the addition of a dough blade. This makes it unique in the food processing world and does an excellent job of preparing everything from pasta dough to pizza dough. Other features include a 750 watt motor that comes with a 5 year warranty. The 14 cup bowl is great for both large and small jobs. 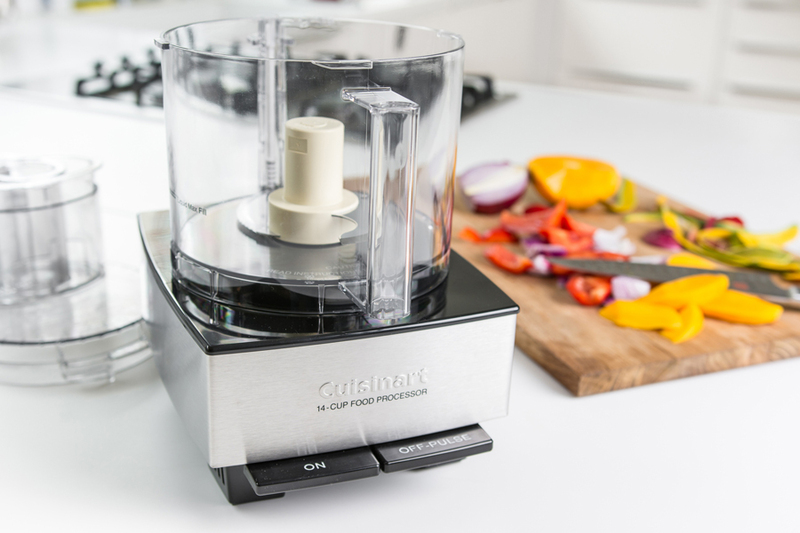 The Cuisinart DFP 14 Food Processor has an extra large feed chute that will chop fruits and vegetables with little or no pre cutting. Blades are included for slicing, chopping, shredding and dough. If you love to cook and want a food processor to speed your prep work, this is a great machine. Many of the parts are dishwasher safe, and there are safety features that prevent injuries for even the most novice cook. It also comes with an instructional DVD that shows users how to take full advantage of all its many features. Cuisinart DLC 2009CHB Food Processor comes in brushed stainless steel and is a great food processor for home cooks. The Cuisinart DLC 2009CHB Food Processor is compact and light weight. It is about the size of a blender and is very quiet in its operation. As with the larger Cuisinart it comes with an extra-large feed, and blades for slicing, shredding, chopping and making dough. This food processor is a great processor for first time users. There is an instructional DVD that helps maximize the use of the Cuisinart DLC 2009CHB Food Processor. The bowl size is 9 cups, which is adequate for most families everyday uses. Clean up is a breeze since all of the removable parts are dishwasher safe. The Cuisinart DLC 2009CHB Food Processor comes with a 3 year warranty and 10 years on the motor. This processor is an excellent choice for couples and small families as the 9 cup bowl will meet nearly all your food processing needs.